I met Janae years ago when my hubby and I were coaching JV volleyball at her high school, and she was on the varsity team. Noah, I met more recently through the financial services company we work with. I didn't realize who his girlfriend was until a while later, but was pleasantly surprised to find out it was this sweet girl I had met through volleyball coaching years earlier. 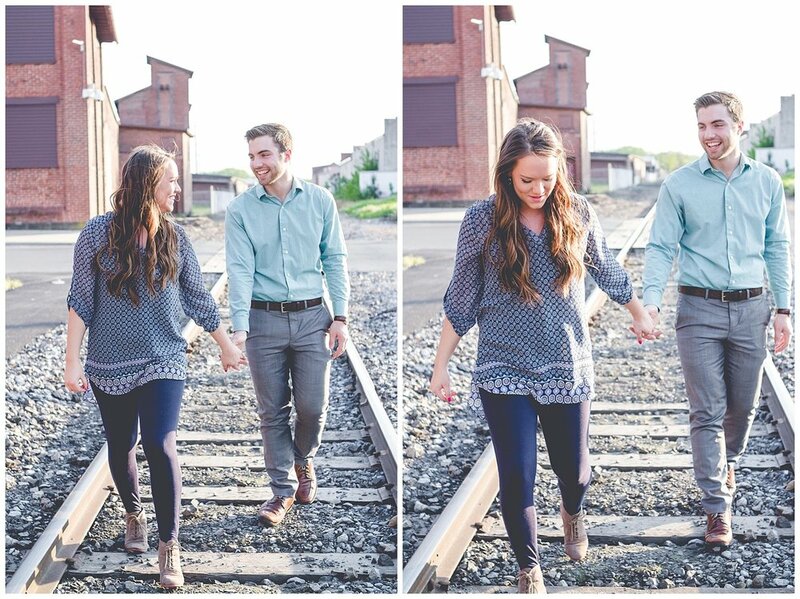 They both grew up in Manheim, PA and met through church activities. Even though I had only interacted with them a few times together, it was pretty obvious they are a perfect pair, so I was super excited to do their engagement session. They are both super sweet and genuine and you can't help but smile around them. 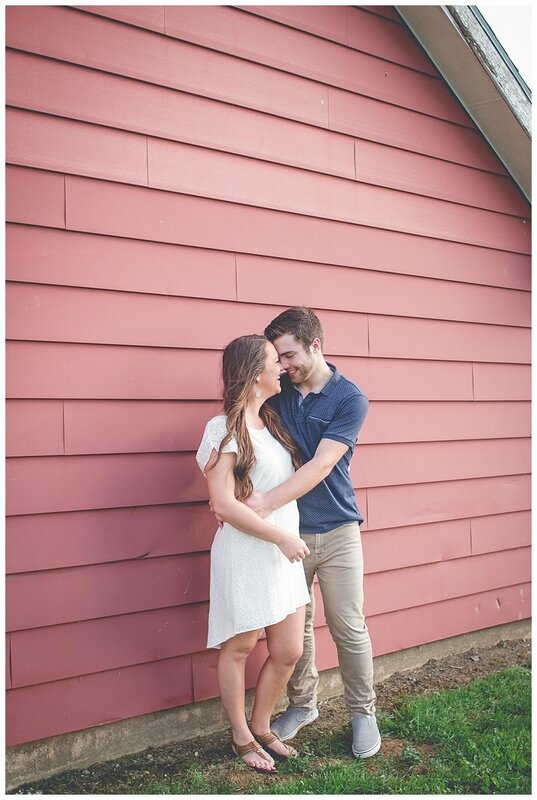 We started their engagement session at Kauffman Church and then headed into Manheim to wander around and take advantage of the gorgeous golden hour light. For our last stop of the session, we went over to Noah's parents' farm, which was the perfect setting for some nice golden hour pictures. I sure do love Lancaster County sunsets!